Chief Dingiswayo had a great influence over the development of what is today Zululand. 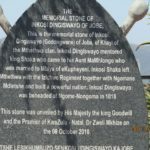 Originally known as Godongwana, he and his brother Tana plotted to kill their father, Chief Jobe, head of the Mthethwa clan, but their plot was discovered, Tana was killed and Godongwana wounded. He fled to the Drakensberg Mountains, where he was nursed back to health by one of his sisters. He changed his name to Dingiswayo (“the wanderer”) and came into contact with Nandi and her illegitimate son Shaka, and the two yound men formed an immediate and long-lasting friendship. When Jobe died, Dingiswayo seized power from his brother Mawewe, whom he killed, and had his first contact with Western culture when he was able to kill a Doctor Cowan, who was attempting to cross Zululand to reach the Portuguese territories to the north-east. 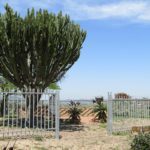 Dingiswayo claimed Cowan’s horse and gun and began formulating a military strategy based on the Western model of formations and chains of command. Shaka, who was operating as one of Dingiswayo’s generals, used these tactics to defeat Chief Matiwane and drive the Amangwane across the Buffalo River. Dingiswayo laid down another marker for Shaka in that he amalgamated several smaller tribes and absorbed them into the Mthethwa in order to oppose his arch enemy, Chief Zwide of the Ndwandwe. In 1816, Shaka’s father Senzagakona died and Shaka claimed the chieftanship, although he still acknowledged the chieftanship of Dingiswayo over the by now more numerous Mthethwa. 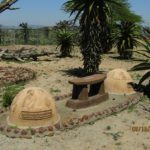 When Dingiswayo was killed during a raid on Zwide’s territory, he was beheaded and his possessions buried in his kraal. The Mthethwa clan then joined the amaZulu, and Shaka repaid them for their allegiance by finally defeating Zwide in the Zulu civil war, before founding the Zulu nation. 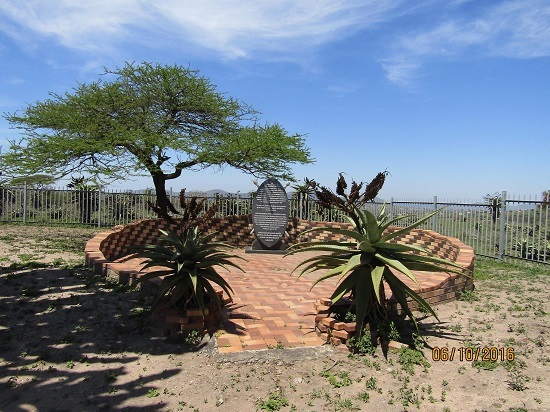 Dingiswayo’s grave is on the north bank of the Thukela River.